A sly anti-catatonic cantilever across the mainstream! Posted a new photo: "Live at Pangaea" https://www.reverbnation.com/q/7ap52w 8 months 3 weeks ago. Saw you at the Lost Rhino Brewing Company - enjoyed your show! 2 years 10 months ago. I like your music alot, especially 'Tour Van (preview: 2011 Cuneiform release) '. Hit me up on email at glenn@kmix-radio.com. Glenn www.kmix-radio.com 3 years 5 months ago. Eternal Optimism shared a note to Dead Cat Bounce's timeline. "Love" forms a circle because one individual always benefits/puts the other first (doing for others), but does your "heart" agree? Simple logic shows that “Love” is always firstly dependent on “Hope” because although you may choose to “Love” another (person or thing), there is no valid way of guaranteeing that “Love” will be returned/reciprocal; therefore it is a “blindtrust”/”Hope.” Selflessly, Ps. 'Eternal Optimism... approach of understanding any human's "intent" can easily be seen through their "Heart's Desire." "Trust" requires the dual combination of "respect" and "communication," but without one or only giving partiality to either action, then one doesn't truly "trust" or believe in doing the action for its “truth in purpose.” Instead, the individual will "deceive" others by making their intent to seem as "charitable concern" for the “pretended” well-being of others. The ultimate climb/war that is fought anywhere on earth can always be reduced to "Love" (selfless) vs "Greed" (selfish). https://www.facebook.com/notes/eternal-optimism/decoded-formula/10153528750410720 4 years 9 months ago. Masterclass with Gary Smulyan at North American Sax Alliance Conference 2013, Salem State U. 6 years 3 weeks ago. When your jaded, unslaked Boston music critic saunters into an Irish pub for an innocent pint and is confronted with the impassioned bleats and untamed caterwauls emanating from the unruly passel of saxophones plus bass & drums, he is dangerously tempted to liken the band to one heretofore unheard of. Dangerous words rush in: Are these twenny-sumpn’ reedmavens a weed-smoking six-gun, a poisonous six-pak of too heady a brew, a mystic hexagram of itching youth? Morning light harshly reveals the truth: Dead Cat Bounce is in the tradition, a cleverly anti-catatonic cantilever across the mainstream! Yass, they’ve been acclaimed Boston’s Outstanding Jazz Act by Boston Music Awards, Boston Phoenix Music Poll and Improper Bostonian. Head-cat Matt Steckler has written works commissioned by Meet the Composer and Chamber Music America. 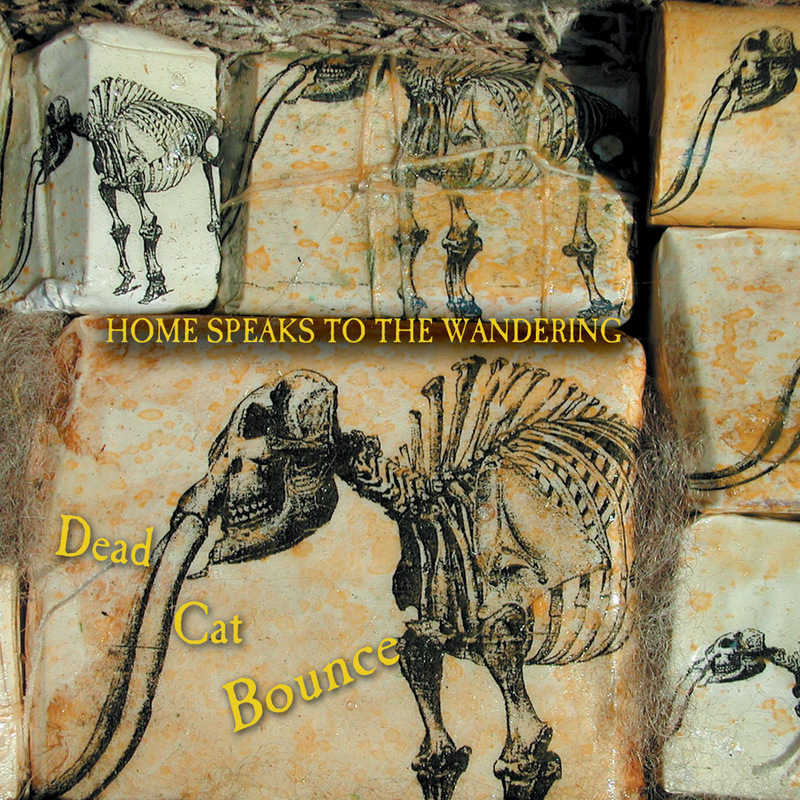 Dead Cat’s earlier albums go to show that, in addition to "having sprung, like Venus on the half-shell, full-blown from the brow of Zeus," it has in fact derived its own purling meow from irreverently unslavish study of its forebears (Charles Mingus, World Saxophone Quartet, even Either/Orchestra and CK5) and three bears (Roland Kirk, Sonny Rollins, Coleman Hawkins).